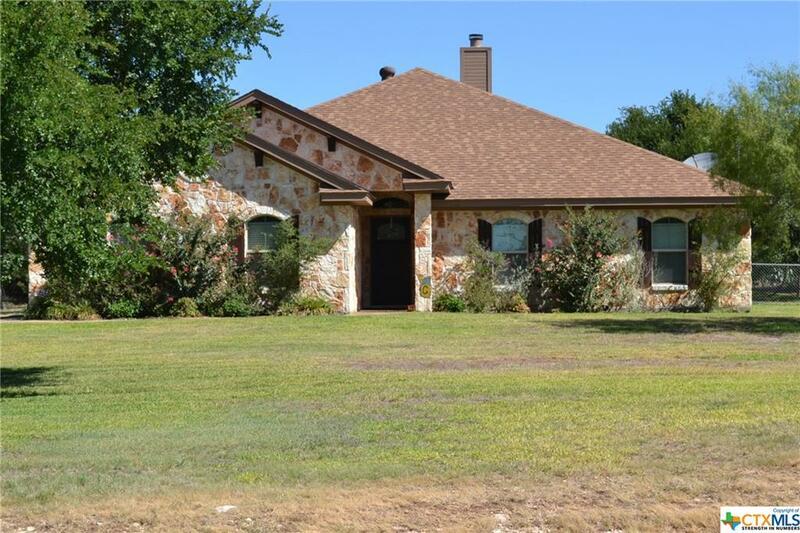 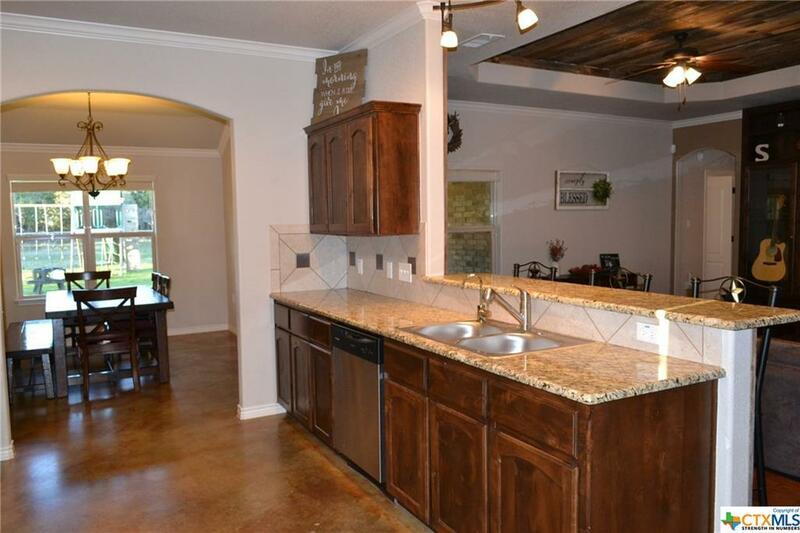 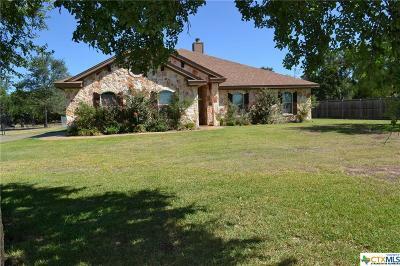 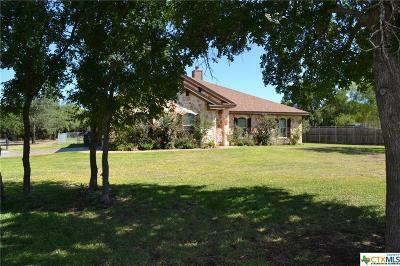 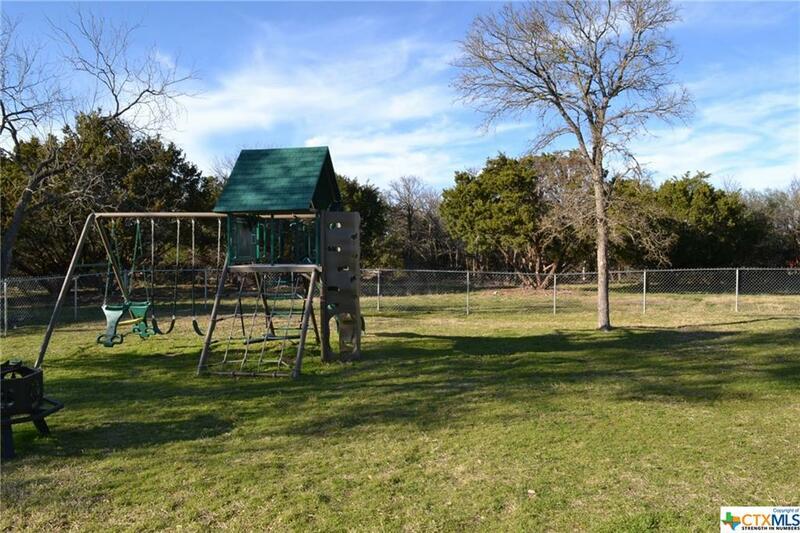 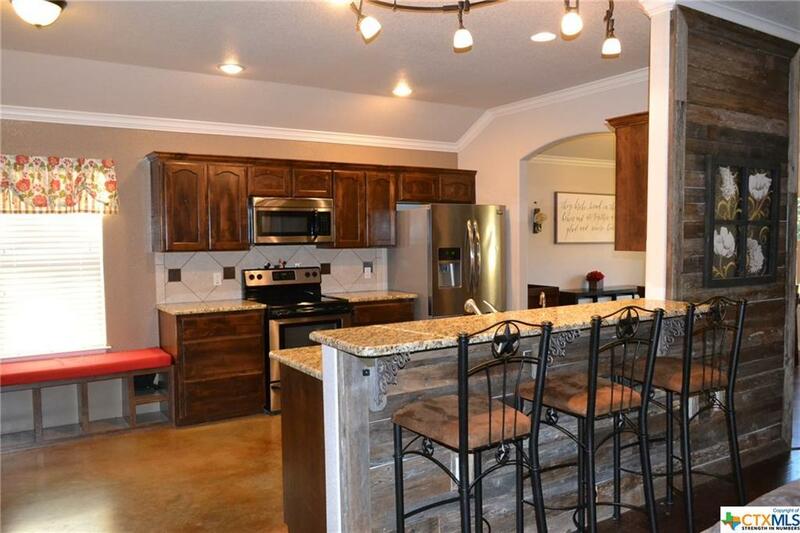 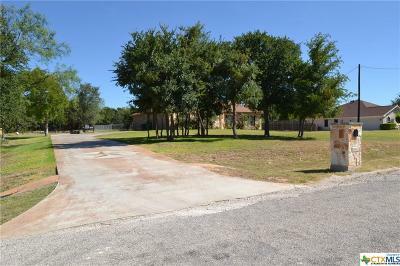 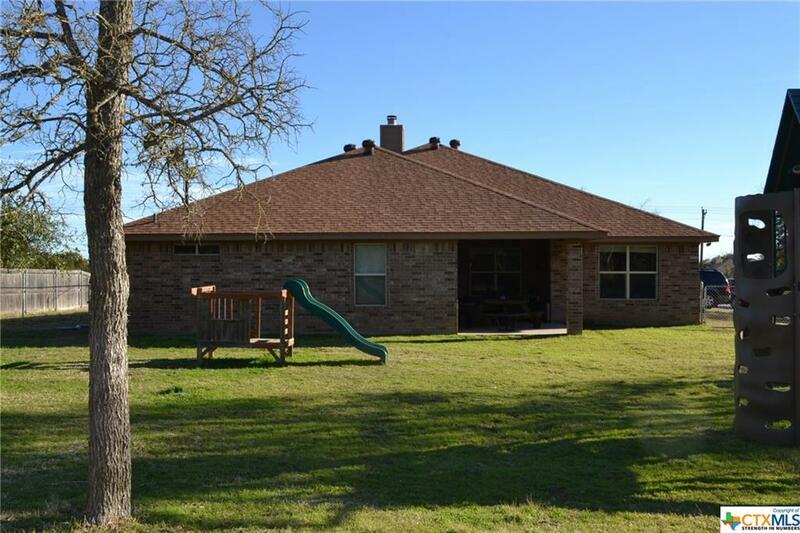 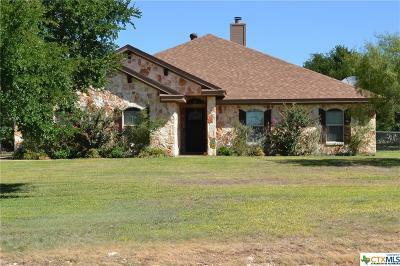 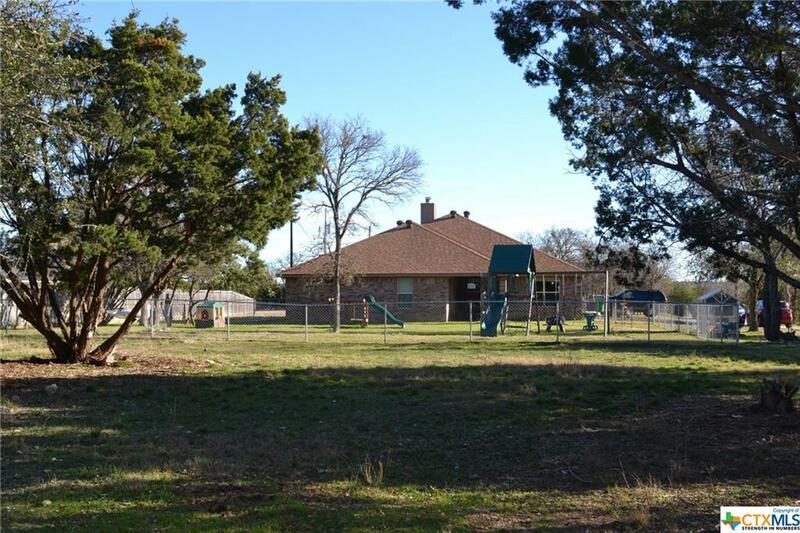 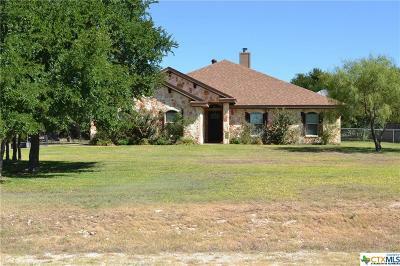 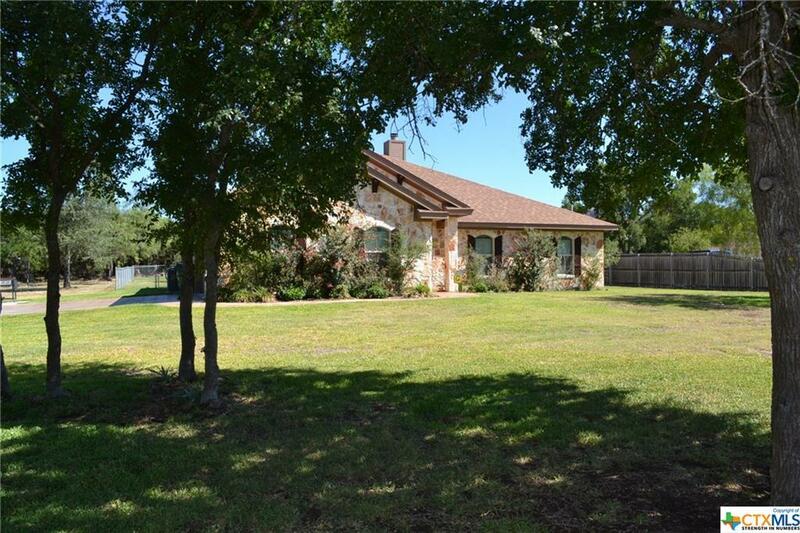 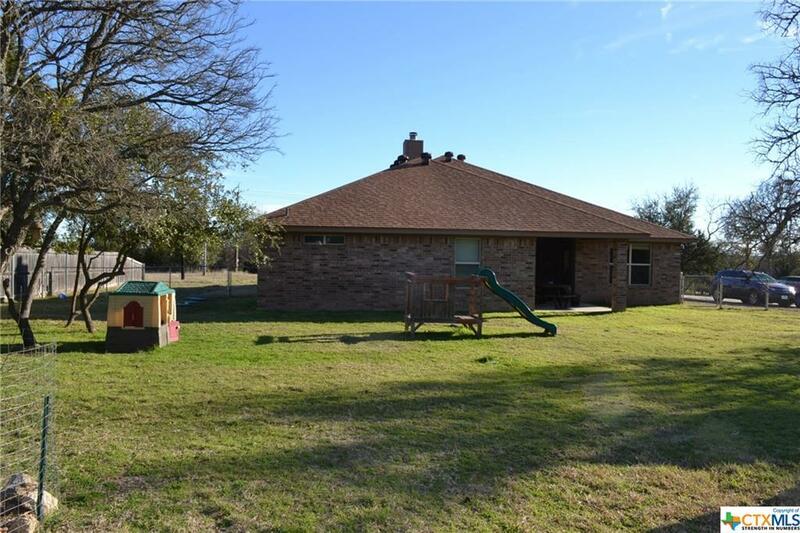 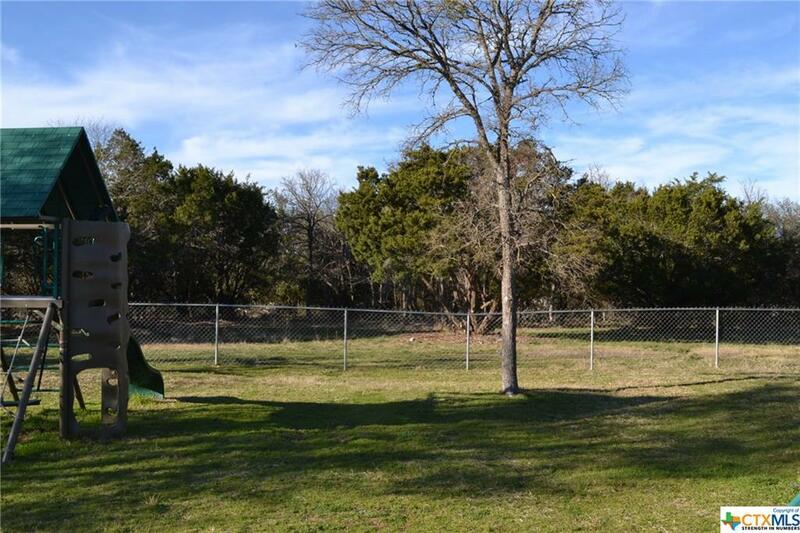 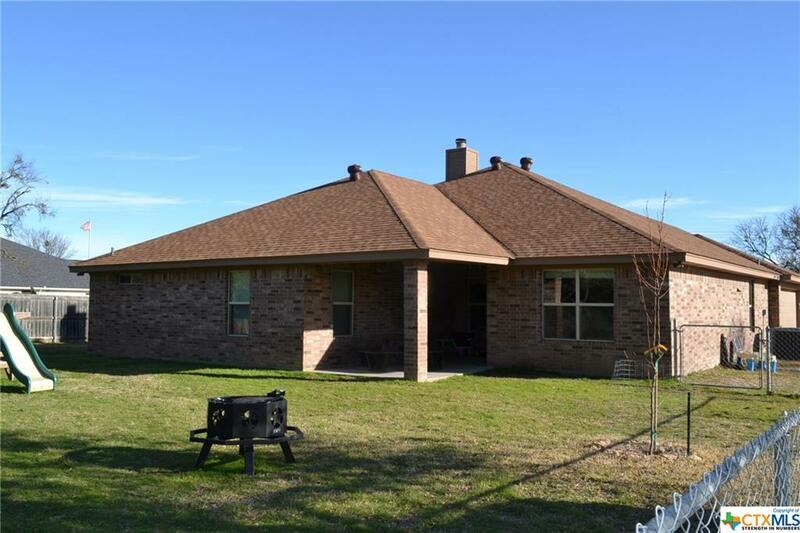 HIGHLY UPGRADED 2276 SQ FT HOME WITH FIVE BEDROOMS, TWO FULL BATHS PLUS A GUEST HALF BATH, TWO CAR SIDE ENTRY GARAGE ~ BRICK WITH STONE FRONT ~ GROVES OF MATURE OAK TREES, FENCED PRIVATE BACK YARD, SPRINKLER SYSTEM, LUSHLY LANDSCAPED .933 ACRE LOT IN SOUGHT AFTER RIVER PLACE IN KEMPNER ~ Come home to the country, yet be a short drive to Fort Hood and the surrounding areas and conveniences. 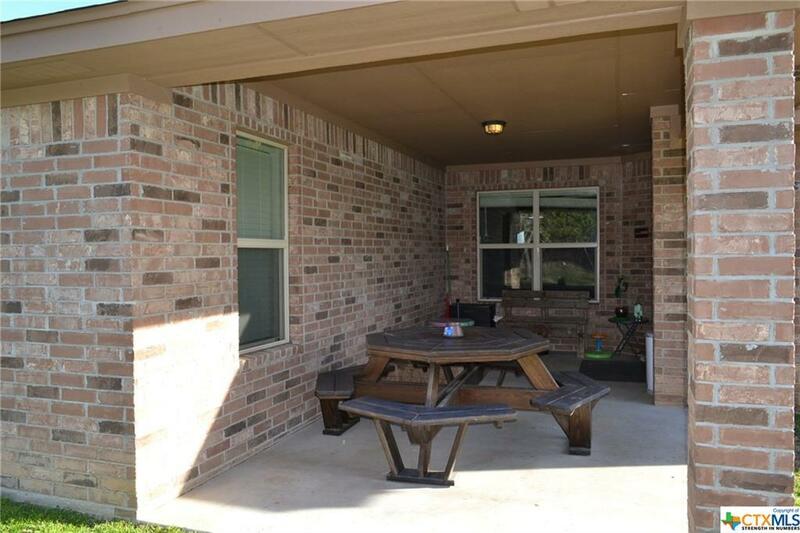 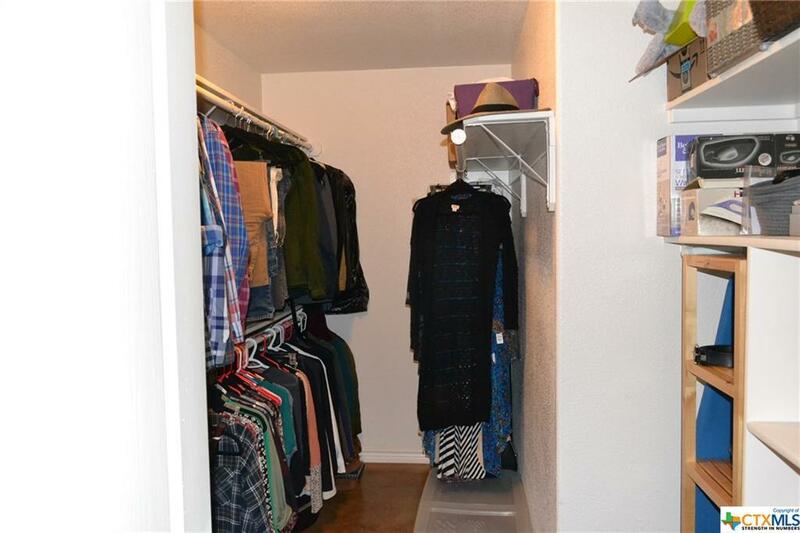 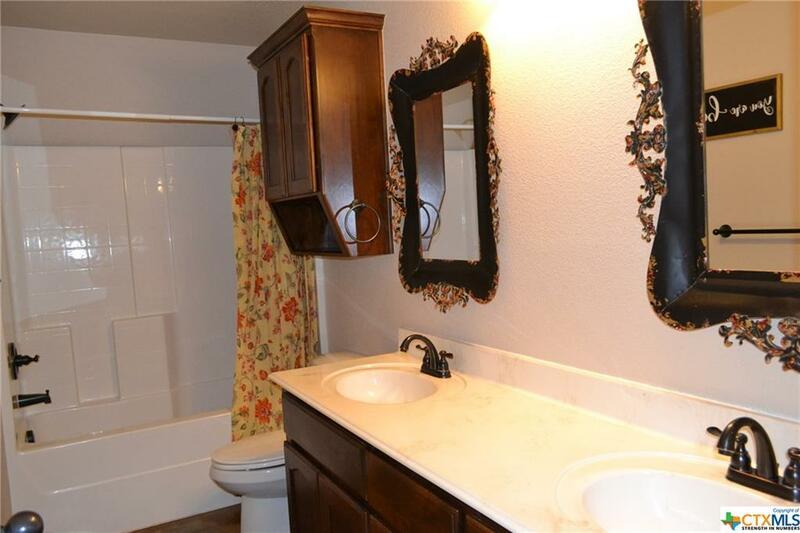 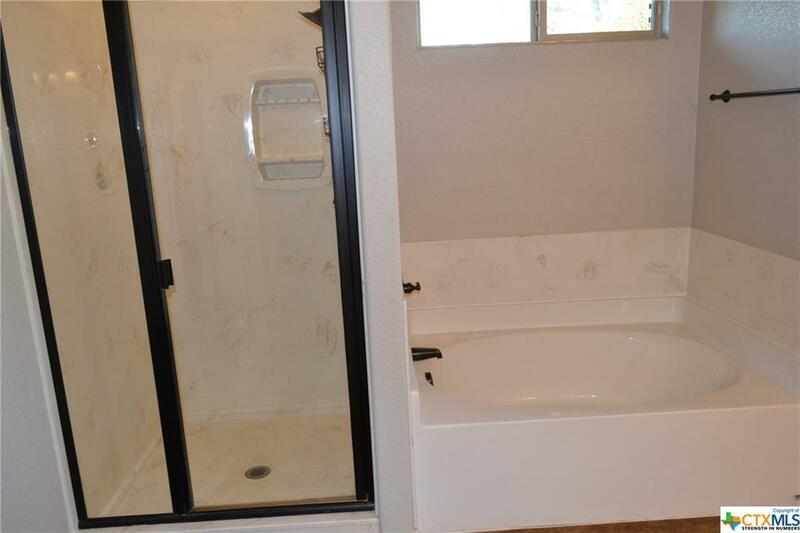 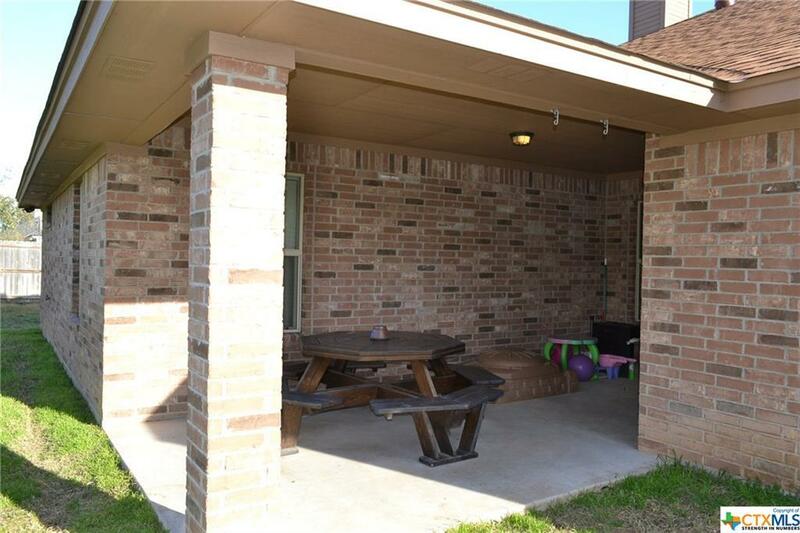 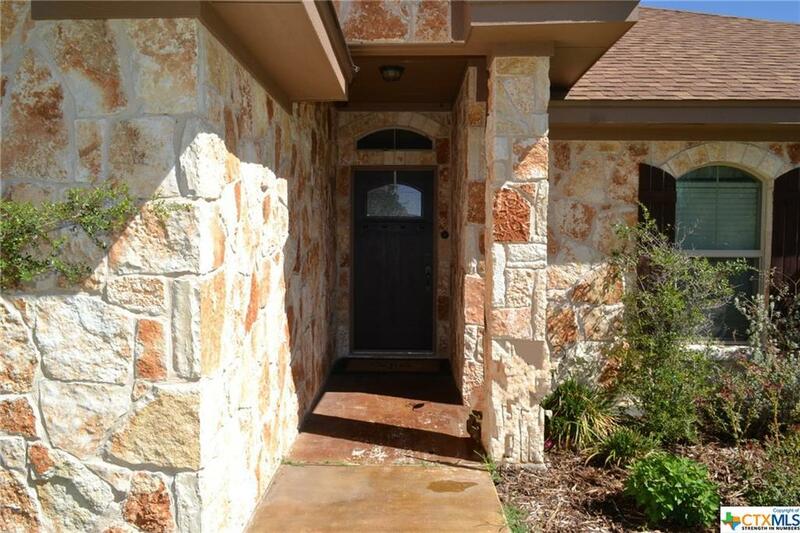 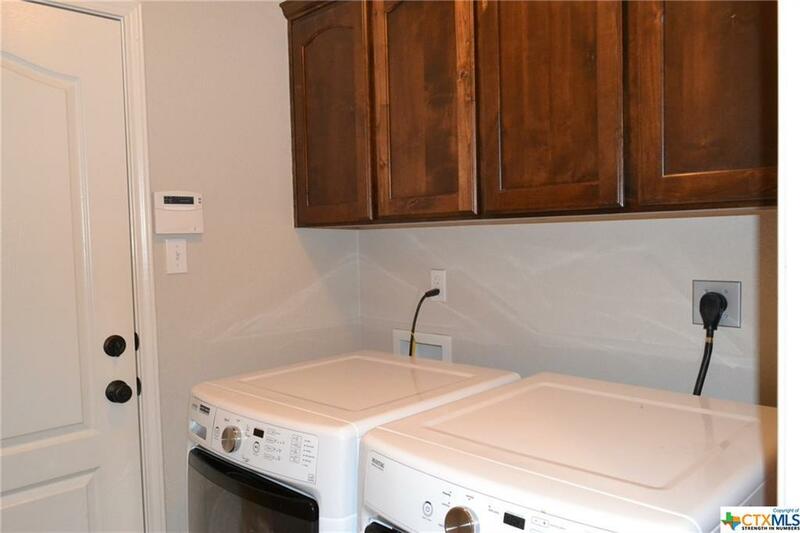 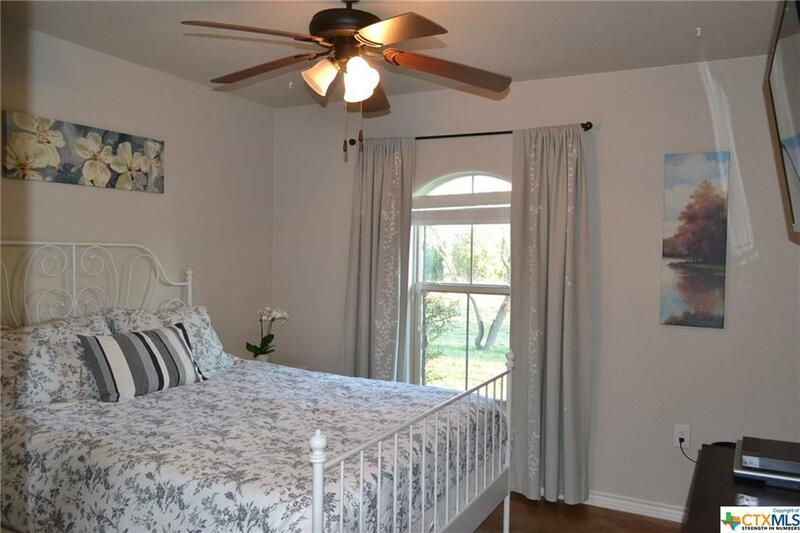 ~ This immaculately maintained home has stained concrete flooring everywhere except the family room, which has upgraded engineered wood flooring. 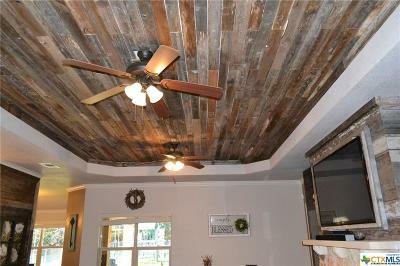 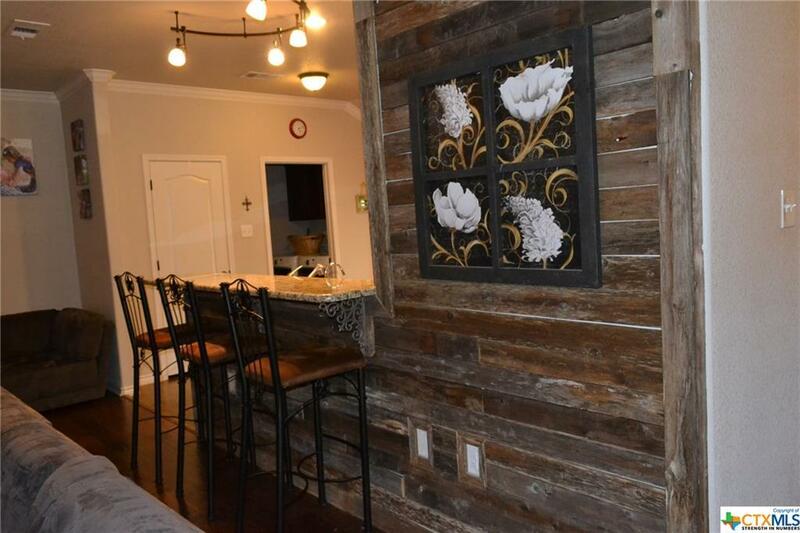 The home has high ceilings, oil rubbed bronze lighting and hardware, and rustic barn wood accents. 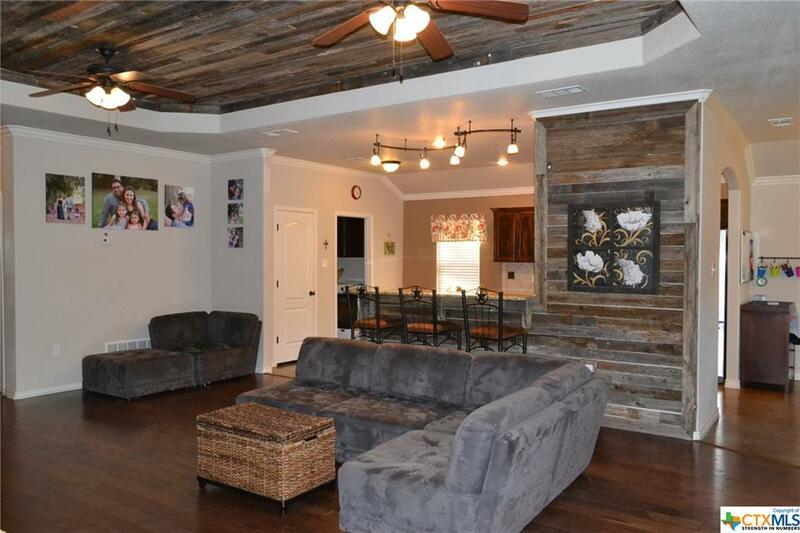 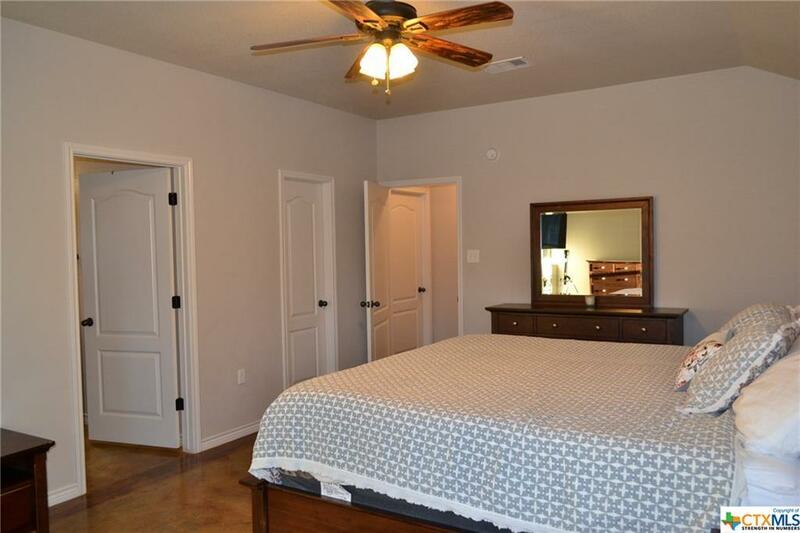 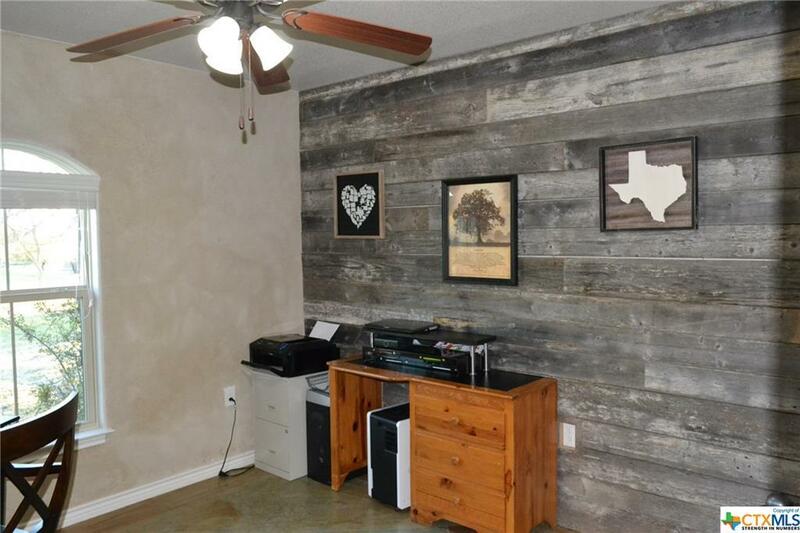 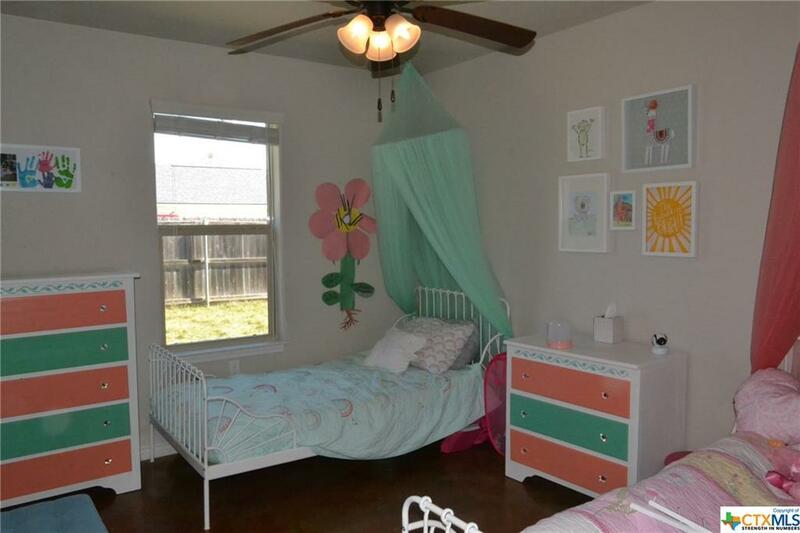 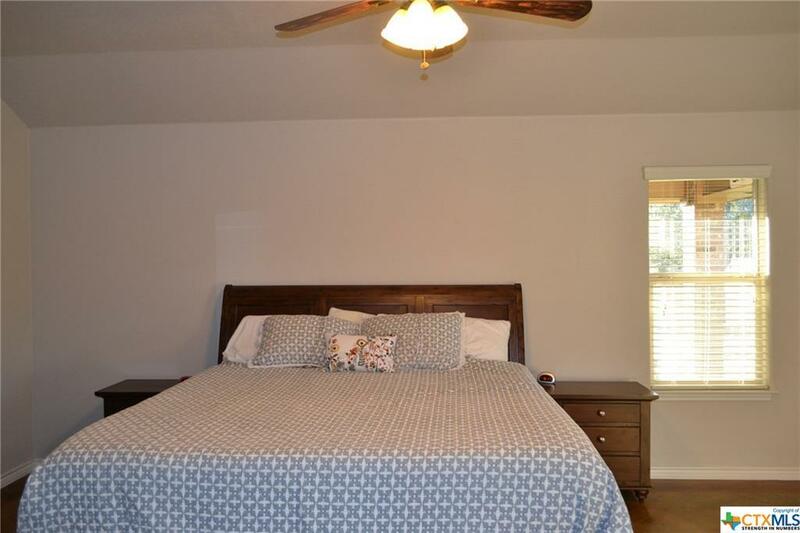 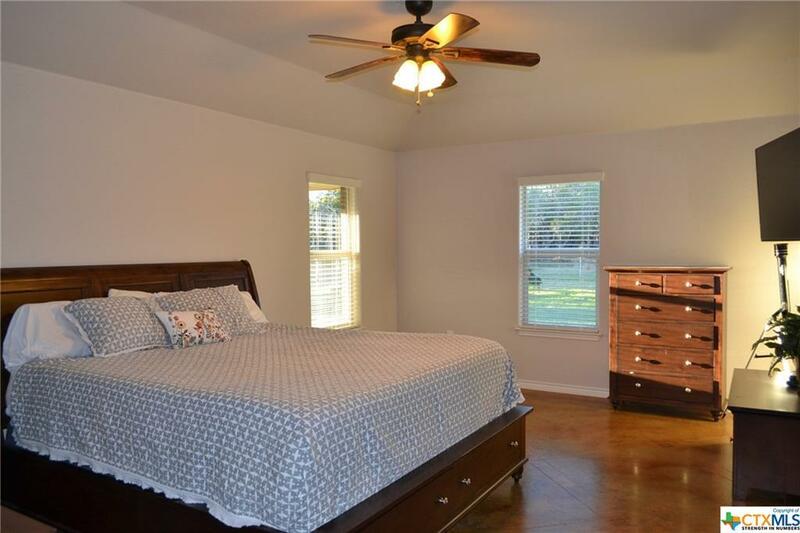 All bedrooms and the family room have double switched ceiling fans. 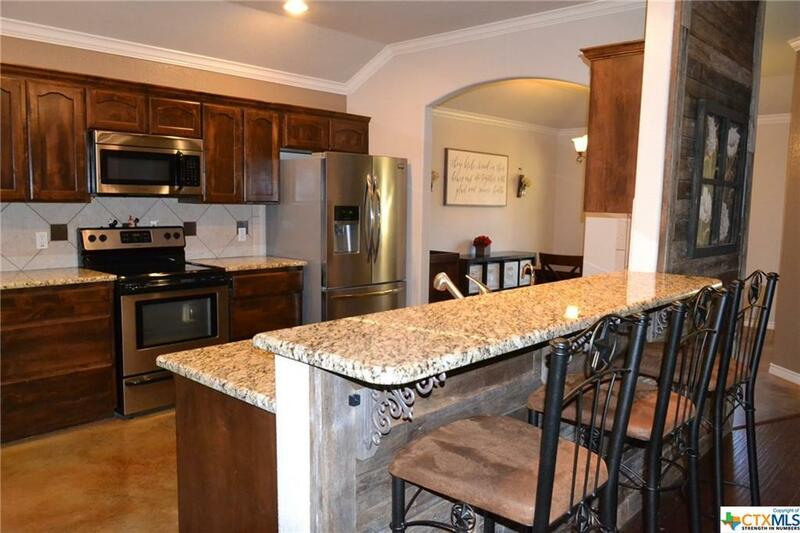 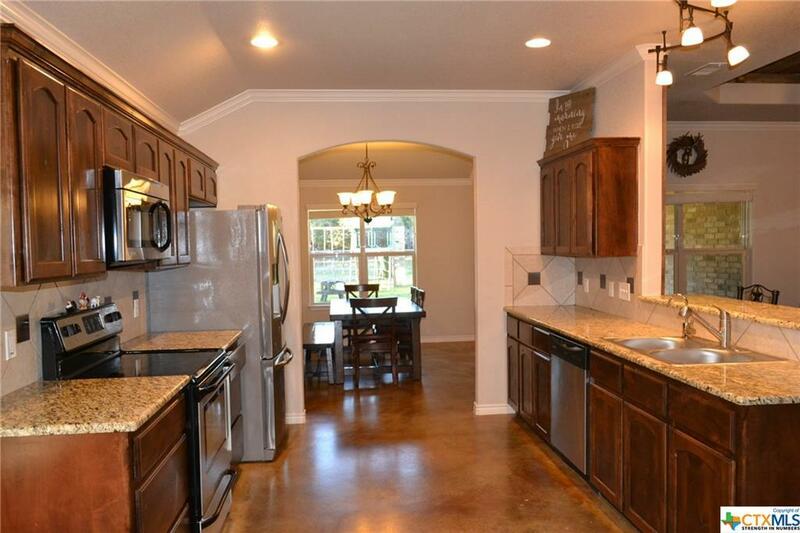 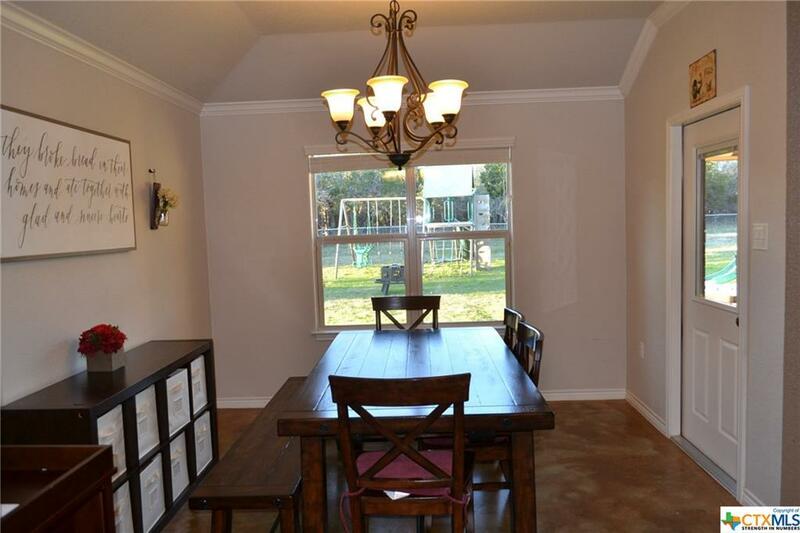 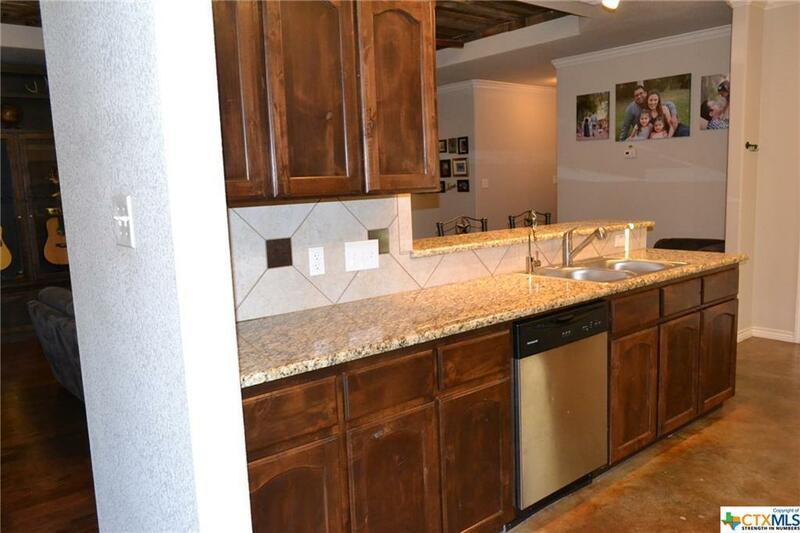 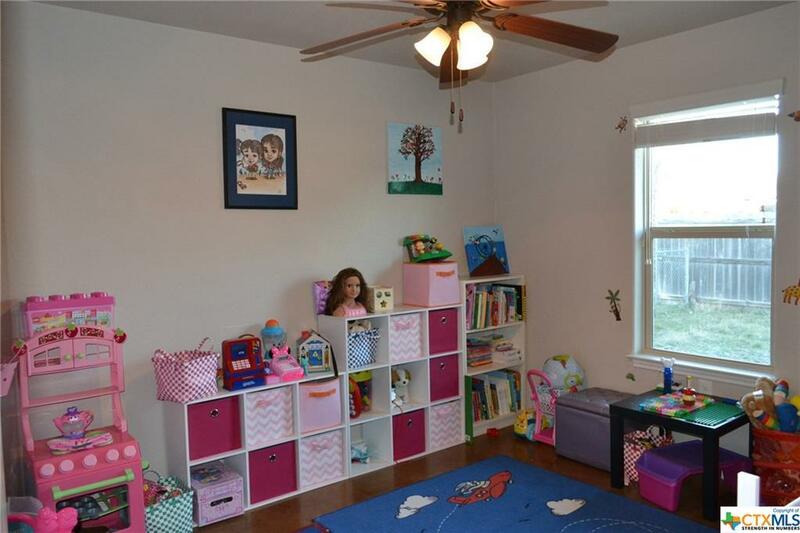 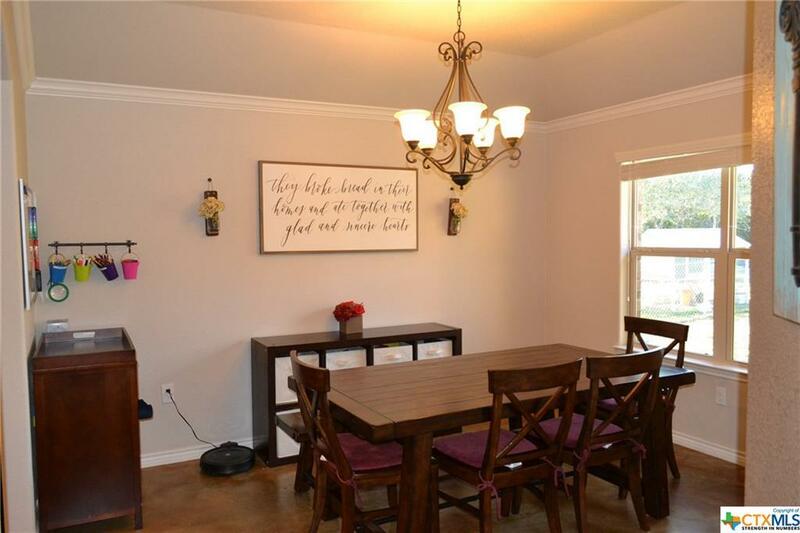 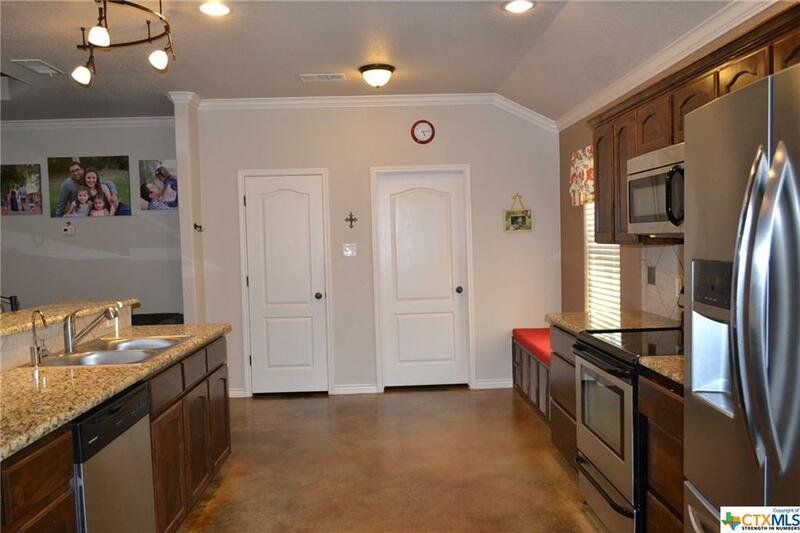 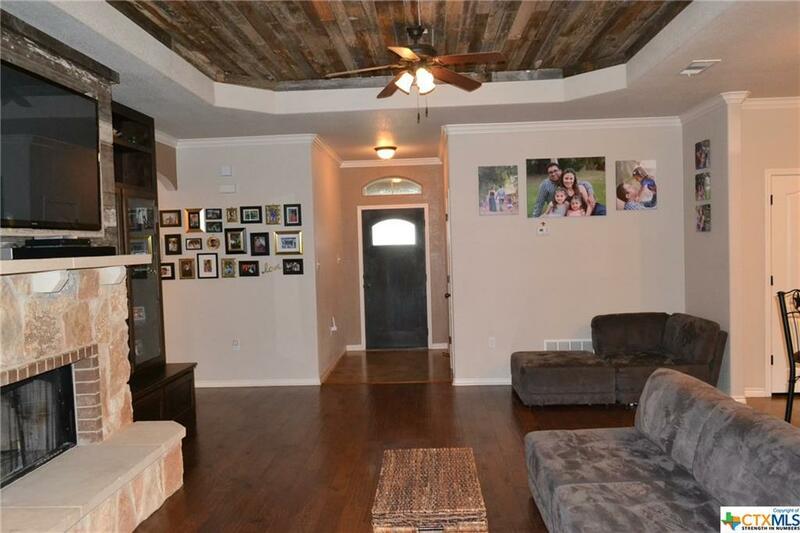 The family room and kitchen have crown molding. 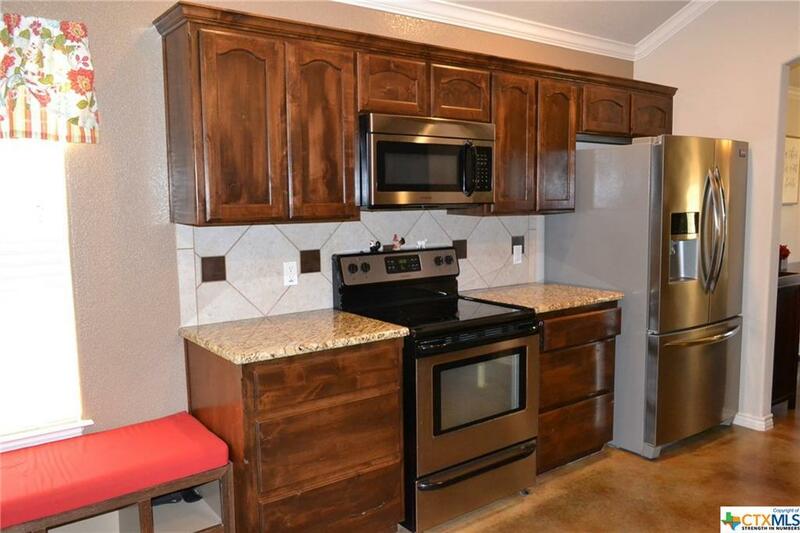 The brightly lit kitchen has knotty alder cabinets, granite countertops with breakfast bar, huge walk-in pantry, and under-sink drinking water filtration system with instant water heater. 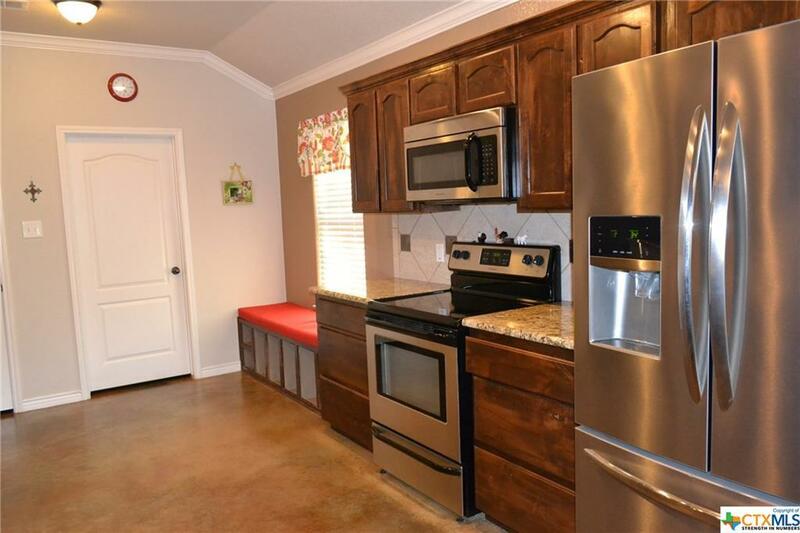 Stainless appliances include glass top range with self-cleaning oven, dishwasher, and built-in microwave. 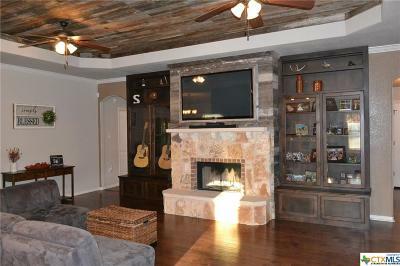 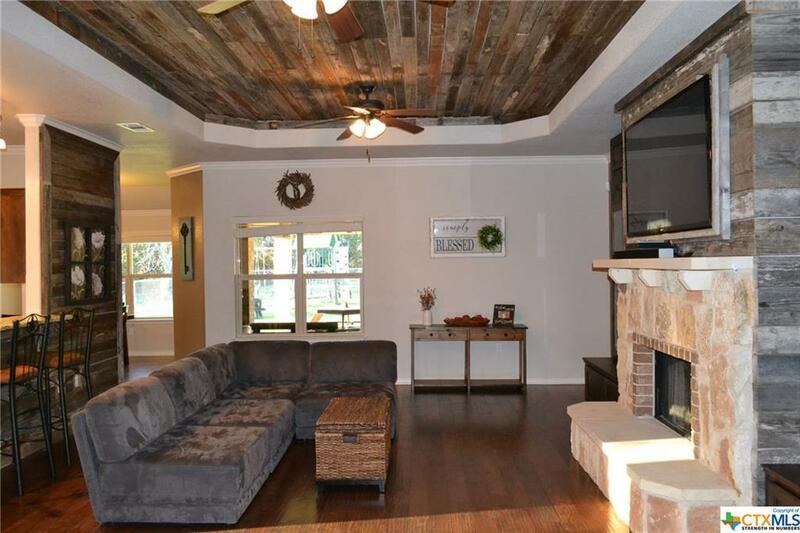 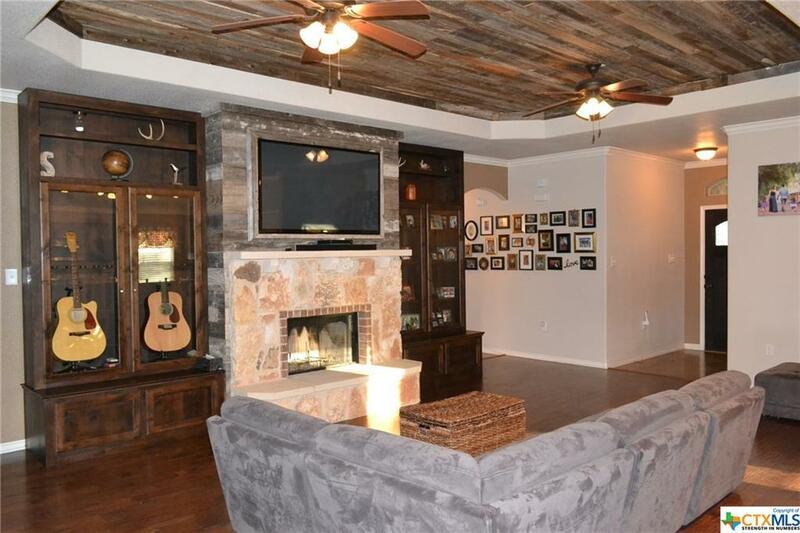 The family room has a cozy wood burning fireplace with stone mantle and hearth. 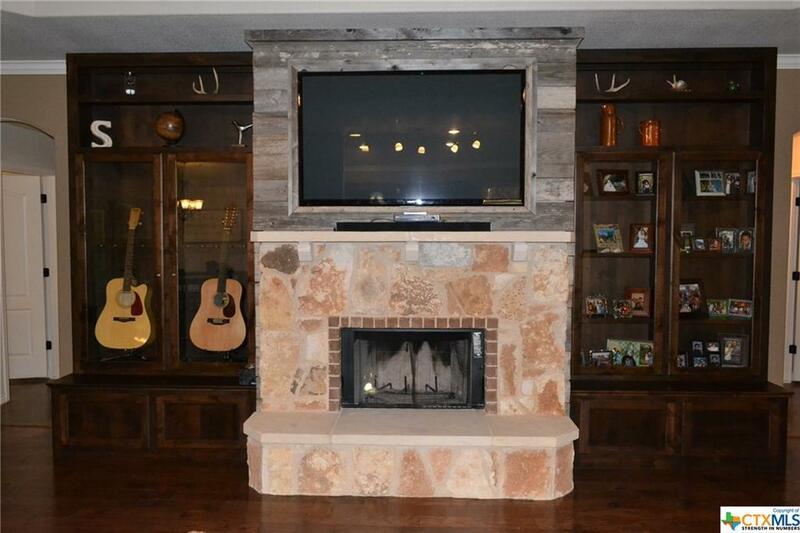 The custom built cabinets on each side of the fireplace are included, and the flat screen TV above the fireplace will stay. 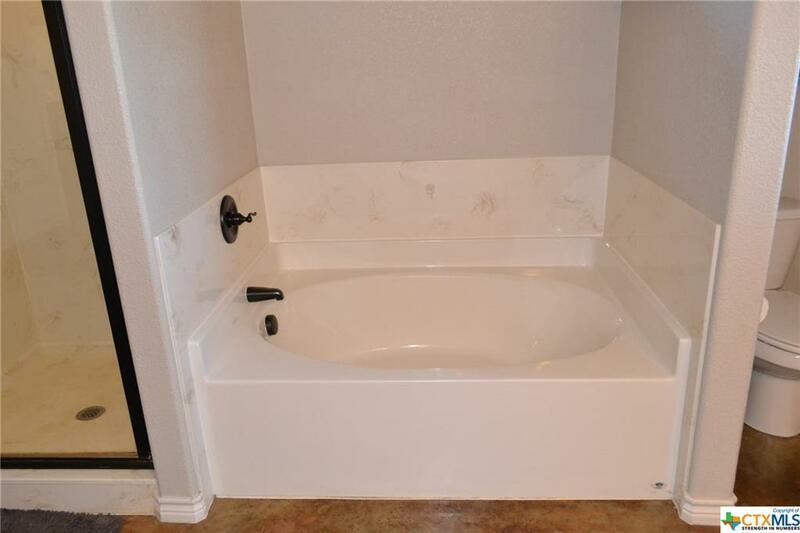 Utilities are provided by Hamilton County Electric Coop and Kempner Water Supply. 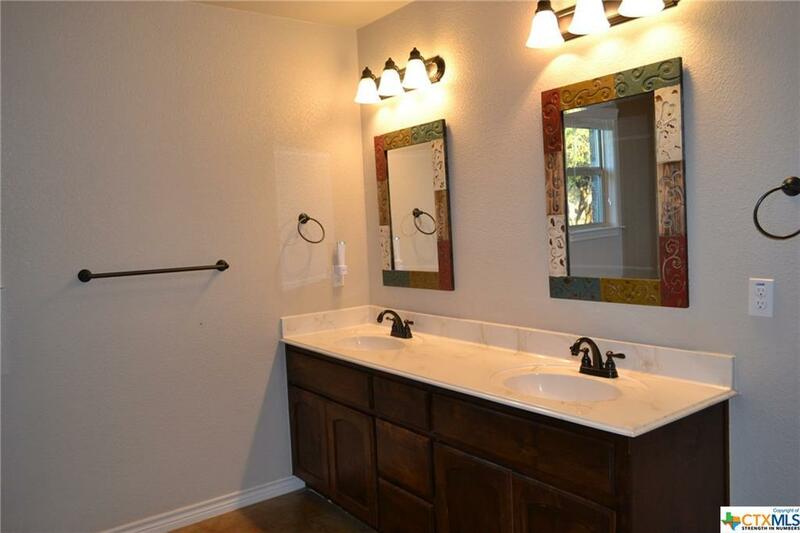 PLEASE VISIT THE VIRTUAL TOUR FOR MORE PHOTOS, TOURS, AND DESCRIPTIONS. 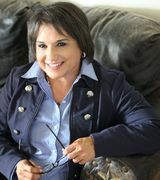 Directions: From Copperas Cove Go West On190 Six Miles To Kempner. 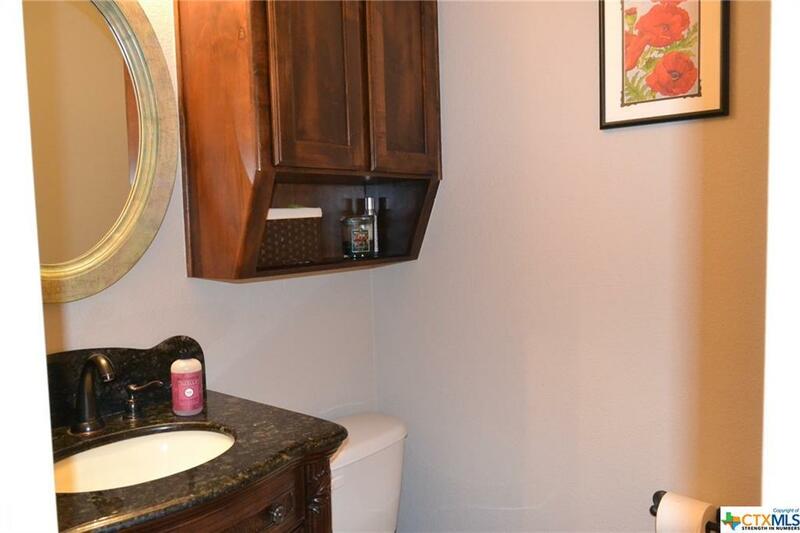 At The Redlight Turn On 2313 (Only Goes One Way). 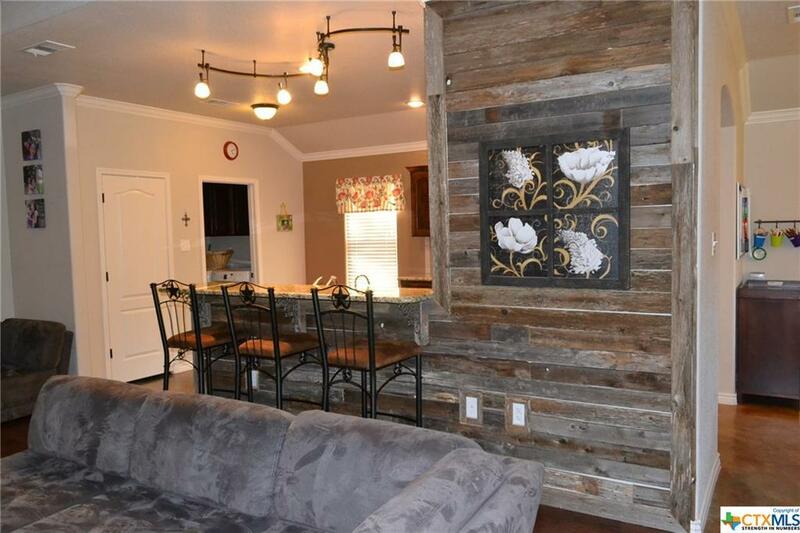 Cross The Railroad Tracks, Stay To The Left, And Go Four Miles On 2313. 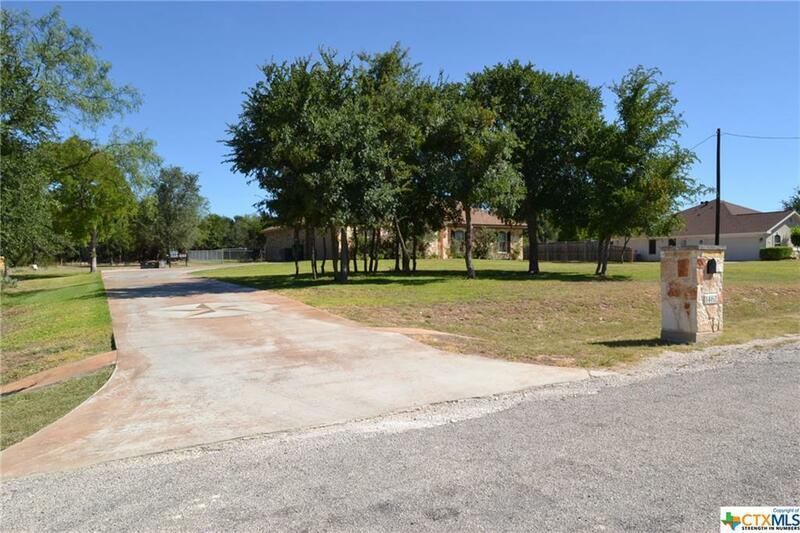 At The White Picket Fence Turn Left On Cr 3150. Go About One Mile, And 3150 Makes A Circle That Will Bring You To 3152. (Or) From Lampasas, Go East On 190 To The Redlight In Kempner. 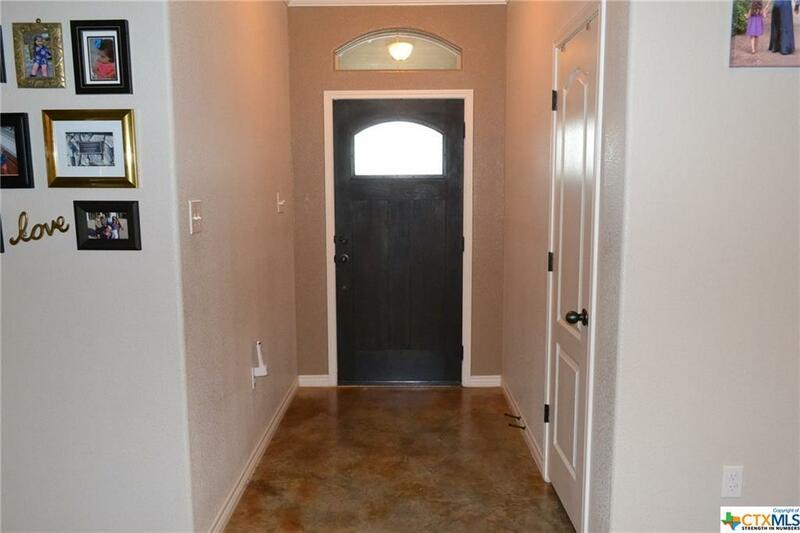 Turn Left, And Follow Above Directions.